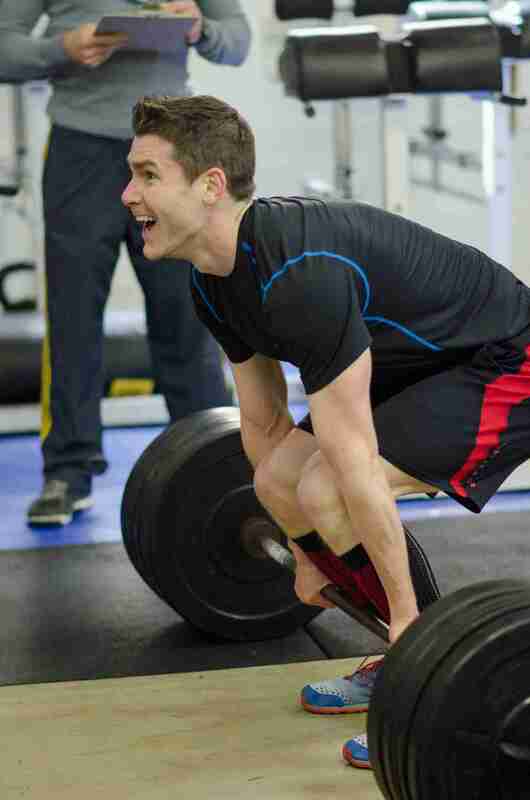 In my last post I vowed to do better in the next week’s CrossFit Open workout. I didn’t account for one tiny detail. The workout could be much, much harder. It was. At least for a born and bred, skinny guy like me it was. Add 2 reps to each set of each exercise every 3 minutes. In other words after the first 3 minutes, you’d do 2 sets of 12 OH Squats and 12 Pull-ups followed by 2 sets of 14 after another 3 minutes and on, and on, and on. Your workout ends when you can’t complete all the prescribed reps for the 2 rounds in 3 minutes. In other words your workout could be 3 minutes long or theoretically infinitely long if you’re Superman. The top human lasted about 20 minutes meaning they were doing sets of 20+ reps. Did I mention this workout was harder? For the uninitiated, OH Squats mean you hold a barbell over your head with your arms long and then perform a full squat with your hips below your knees. It’s typically your core and shoulder flexibility and strength that limits your ability to perform this exercise. I’d just recently started lifting heavier with my OH Squat once or twice a week working up to a 165-lb maximum. 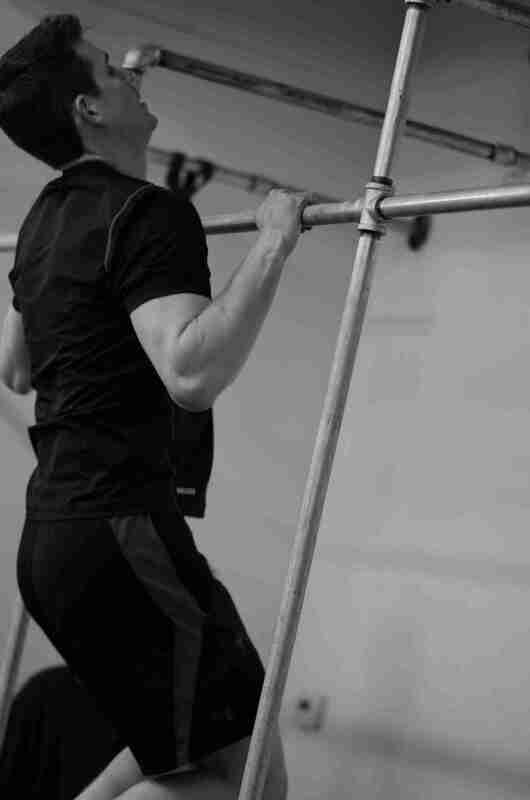 CTB Pull-Ups start from a dead hang with arms fully extended and require your chest to make contact with the pull-up bar at the top of the movement. They’re much harder than regular pull-ups. They often tear your hands apart leading to ripped clauses, open wounds, and a bloody mess. That can be avoided if you grip the bar properly and limit your number of reps. That wasn’t an option with this workout. These are my Pull-Ups. These are not my best Pull-Ups. My score for 14.2 was 129 reps meaning I completed the 2 rounds of 10 reps, 2 rounds of 12 reps, and was over halfway through the 2 rounds of 14 reps before time ran out. 9 minutes passed. My hands didn’t rip. My glutes were sore…very sore. This scores gives me more motivation to keep disciplined with my current two focus areas for improvement in CrossFit: (1) Heavy OH Squats and (2) Butterfly Pull-ups. Next year will be a better throwdown between me and these movements. Let’s move on to 14.3, which didn’t get any easier. I’m still waiting for the 20-minute long met con (i.e. metabolic conditioning or cardio workout) workout to be announced, but it was not this week. This format continues for sets at 315 pounds and 365 pounds for Deadlifts with Box Jumps in between, but for the sake of our sanity, let’s end it there. Deadlifts require you to lift a barbell from the floor until your hips and knees are fully extended and your shoulders are behind the bar. Box jumps are self explanatory. Jump with two feet from the ground on top of a wooden box. To save your Achilles, you could also step up onto the box with both feet with knees and hips fully extended. I stepped up literally. I’m tall. I’m skinny. I’m an engineer. We’re not built to lift many hundreds of pounds of weight off the floor. We’re built to type and run and occasionally dodge a punch. This workout was not my friend, but I did much better than I expected. My 1-rep max for Deadlifts is 300 pounds. I expected I would easily get to the Deadlifts at 275 pounds and then hit a wall. 5-10 reps at 275 pounds seemed like a reasonable goal. I hit 18 reps at 275 pounds for a total score of 108 reps! This is solid evidence that computer engineers can lift objects heavier than keyboards. That’s me deadlifting 275 lbs with Dave Heston taking note of my reps and my form has only slightly broken down. Facial expression technique is right on the money. My form broke down a little bit on my last few reps. I lowered down into a the bottom of the Deadlift position with my back flat, engaged my hamstrings, drove through my toes HARD and…nothing. The bar wouldn’t move. Not an inch. I did what I had to do. I yanked the bar off the floor with my hands and stood up proud and tall. According to my judge Dave Heston, my form was only slightly off, and so I’m prouder still. Two days later and my back and hamstrings are in good shape. Focusing on form and post-workout stretching paid off. Two more weeks remain in the CrossFit Open. A cardio-focused met con workout lurks in the not too distant future.